October 15 News | Jobs in Film, Radio, Audio. Gets Hired, Gets Going in Audio! Recording Connection graduate Efrain Matias started making music on FL Studio at the age of 12. 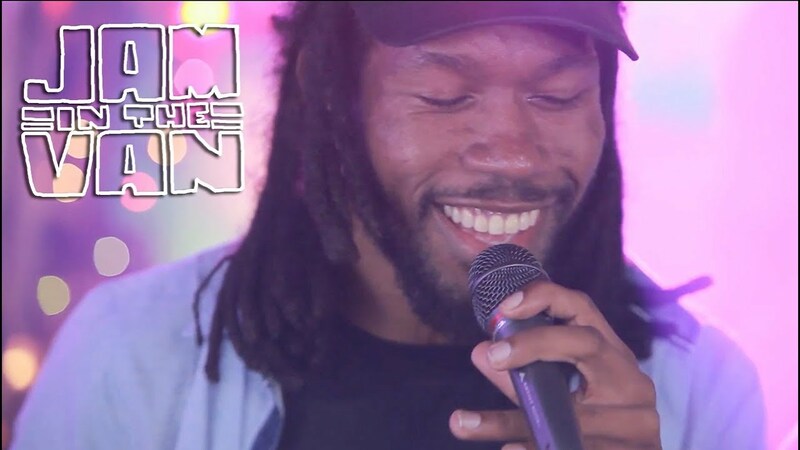 His lifelong love of music is paying off since he made the choice to elevate his skills by training with Recording Connection mentor Bernard ‘IQue’ Johnson at Noize Factory Studios in El Cajon, CA. Now Efrain has a new job, new projects, and a growing career as an audio engineer and music producer. We recently caught up with him to hear about his journey towards success. So what led you to signing up with Recording Connection? “I was a big follower of Pensado’s Place, and I heard about you guys through watching the show online on YouTube and stuff.” What got you interested in audio engineering in the first place? “I went to a local studio in Illinois that I got to work at for a little bit and they basically broke it down to me like this, ‘If you want to be a producer, you kind of have to be an engineer too, because otherwise your production isn’t going to have that quality that musicians are after.’ And they kind of convinced me to be an engineer and then I fell in love with the process…you know, just sonically producing a record, interpreting that idea and then completing it.” What are a few specific things Bernard has helped you with? “Bernard showed me a way to add production aspects when you’re recording and working with vocalists or musicians…And that was like a big thing for me because…if you’re not an active recording engineer and really paying attention to the artist, it can be pretty mindless, just hitting the red button. But where you can add value is just communicating and finding different ways to get that best performance from them. Even just keeping them in a good mood or saying something funny to lighten it up…Now I’m able to work with people and get that extra 10% on a song… As far as techniques, he’s also showed me a lot of basically surefire ways to get certain aspects done, whether it may be a simple plugin or little things to listen for. For instance, there was a plugin he introduced to me called Drumstrip from SSL. There’s a lot of ways you can tweak a kick drum, but this is like a ‘one and done’ type of channel strip plugin. He showed me some of the characteristics and how you’re able to just take your regular sound and shorten up your drums, the transience of your kick drums and snares to really have impact… And he showed me some really simple techniques for miking a drum kit. That was really interesting.” Bernard invited you to attend NAMM in L.A. earlier this year. How was that? “I don’t know how to explain it. It was almost like a dream for me prior to getting to participate in NAMM. I’ve always watched it on YouTube and followed my favorite companies. To be there and go to all the different workshops, even the business workshops were there, it was just incredible. I drove up every single day for NAMM and watched all my favorite audio engineers that I used to watch on Pensado’s Place. I got to participate and sit in the crowd and watch Dave Pensado do his speech for his TV show at NAMM. I believe they brought Rance from 1500 Or Nothing up on stage. They produced a lot of records and worked with Bruno Mars and Adele, and it’s just great to be in that same exact atmosphere and participate in a community.” So how did you get hired by Bernard? What led up to it? “It kind of started with me. I was showing him some mixes that I’d been working on. So I had started taking on my own clients at home and was getting kind of busy at home. He was pretty impressed with some of the mixes that I was bringing him. So he suggested that I help him out and take some work off his back, and [said] I could take care of recording the clients that he has or doing some of the mixes that he may not be able to get to.” So what are you looking at doing in your career? What’s your focus? “Right now my focus is mostly on engineering. I feel like engineering is going to help me establish myself as a producer and it appears to be trending. If all I did was write music, I would just have a ton of music. But if I did get to work directly with these clients and…an artist comes to me and tells me what they’re looking for…it’s your job to interpret that and put it in the record or make their vocals sound that way. And I feel like just that connection of just working with artists is going to enhance one’s production skills. If you love producing, then you should probably love most aspects of engineering as well. That’s really it.” What’s your advice to Recording Connection students on how can they make the most of the program while they’re in it? “I think really going in and practicing everything they learn or even maybe finding a way to practice in advance, prior to [the lesson], to get the most out of it. The more you know going into it, the more you’re going to get out of it going into the program. Also apply everything you learn right away, because I can only tell you about compressors and how ratios affect the sustain of chords on a guitar so much…I can EQ a song and tell you why I’m EQing, taking out 170 hertz out of an acoustic guitar, but it’s not until you go in and do it for yourself and try it in various instances that you’ll [completely] understand.” Learn more about the Recording Connection for Audio Engineering & Music Production Program. Hires Student, Talks Working with Artists, and More! Recording Connection mentor Shane Anderson is committed to providing musicians with the environment, professionalism, and music production expertise they need to realize their vision and make their art. He’s also an avid believer in learning audio and growing the skills, awareness, and etiquette it takes to succeed in music through hands-on, in-industry education. We recently caught up with Shane at the helm of Unique Recording Studios, located in Sacramento County, CA, to get his insights on working with artists in-studio, find out why he made the choice to hire his former student extern Collin Jacka, and more. Read on! What got you into audio in the first place? “When I was about 13, I signed my first demo deal doing demo vocals for a hip hop label. So I was doing a bunch of demo vocals and I was on the other side of the glass recording vocals, and I was always thinking as a teenager how cool it is that the guy on the other side of the glass was like the rock star. He was the dude that was always making magic. So at a very young age I was like, ‘That’s so dope. I want to learn that.’” How would you describe what you do? What various hats do you wear? “I’m a recording artist, mixing engineer, producer, and songwriter. I do the gamut of everything.” How do you go from playing the role of recording engineer for a band that just wants to get a song laid down, to being a full-fledged music producer in which different skills are being asked of you? “When the bands come in here and they record, the biggest thing that I really focus on is I want to always make sure that I’m honoring their art. So if I’m just recording them and I’m not putting in so much of my input and [I’m focused] more so on getting the best sounding recording, so it’s a different direction. Whereas, as a producer you’re helping achieve that art through the process of giving them pointers, and you’re influencing the direction…A lot of times what happens with new engineers is they try to input too much into the art of the client, whereas the client is trying to make their art, and we have to elevate their art.” If the audio engineer or music producer has a big ego or is very self-centered, can that detract from the session? “That’s a big thing, understanding and being mindful of the fact that every artist is unique and has their personality. When they’re in the room, they’re the most important person in the room…you’re the magician, you are, you’re the rock star behind the glass, yes, but if the artist doesn’t think they’re the rock star, the artist doesn’t think that they’re the artist, then their performance diminishes. So sometimes as crazy as it might sound, sometimes we have to feed into that ego for the artist to get the best out of them…The artist is the person of the day. They’re the ones you’ve got to put all that effort into making sure that they shine. Your actions should always speak volumes so you won’t have to put the glitter on you. Your shine is when they’re sitting there behind you smiling, dancing, happy about their song.” Why do you choose to mentor for Recording Connection? “I look at the Recording Connection as a new way to encourage students with one-on-one training. So a lot of times in a classroom setting, I know this from first experience just being a student in high school, you can have someone telling you, ‘Hey, you need to do this, you need to do that,’ but it’s that one-on-one mentoring that’s really, really important. It’s critical I think, because you’re getting one-on-one time with someone who’s been in the industry, who knows how to guide you, and is not going to just tell to a group of people, ‘This is how you do X or this is how you do Y.’ You’re actually in there, hands on, in the trenches, learning the ups and downs of recording. You’re learning everything about the process and what it takes to get to the next level.” What made you decide to hire your former extern Collin Jacka? “So Colin, the main reason why I hired him was because of his work ethic. He came in, he was positive, he wanted to learn, he wanted to be a part of something, and not just be a part of it for the recognition of being in a studio. He actually wanted to know the details of why a compressor works. He wanted to know the details of why we should EQ a certain way and why to organize files the way that we do here at Unique Recording Studios… So all of that he really took notice of and he really wanted to be part of something with a work ethic and not just go like, ‘Oh, I just want to get hired by a studio.’ …Most people that are in the industry, time and time again, it’s going to be the people that show up, the people that actually are committed to learning the craft, and that’s what is the most important, because a lot of people get into the music industry to be rock stars. And they get in for the wrong reasons, like, oh, I’m going to go make money doing this. Money comes, but it’s really hard work. So people don’t understand that part of it, and with Colin, he understood. Everything that I was speaking on, he was writing down. He must have, like seven, eight, nine, 10 composition books full of notes.” Do you think it’s a good idea for students to have their own projects they’re working on at home and on their own time? “Absolutely. I think that it would be a problem if people didn’t. I think the more you know, the more you grow, right? So the more you’re working at home, the more you’re focused on your craft, the better you can be. Then when you’re learning stuff in the program, then you can go home and apply those things you’ve learned in a home setting and really dive-in deep and take what you’ve learned and progress to the next step.” Learn more about Recording Connection’s programs and workshops in audio engineering, beatmaking, and more! Recording Connection students & grads with Chris Lord-Alge at Mix L.A.
On September 22, 2018, CHRIS LORD-ALGE aka “CLA,” (Rage Against the Machine, Pink, Linkin Park, Madonna, Lady Antebellum, Krewella, Green Day, Keith Urban, Carrie Underwood), personally directed the second annual Csaba Petocz Master Class at Mix L.A. studios in Los Angeles! The up close-and-personal-workshop was attended by graduates and current students of Recording Connection’s Advanced Audio Engineering and Music Production Program. Chris Lord-Alge designed the curriculum which focused on mixing, critical listening, various production techniques and best practices to carry on the legacy of high standards and values that made working with the late Csaba Petocz a truly unique and rewarding experience. We hope you all pay it forward with amazing-sounding music. Film Connection student Cheryl Agbunag’s (Clearwater, FL) TV pilot “Cold War Charlie” has advanced from the semifinals to the finals of the WeScreenplay Television Contest 2018! That means out of 1000 screenplays, Cheryl’s has made it into the Top 25! Cheryl’s TV pilot is an adrenaline inducing fictional dramatization based on her amazing Air Force career experiences as a tough, courageous female officer during the Cold War era (learn more). CONGRATULATIONS CHERYL! WE’LL BE ROOTING FOR YOU! Film Connection student Hap Lea (Charlotte, NC) who externs with Wes Cobb at WestArt Video recently worked on the upcoming indie film “Inner City Rats” as both a script supervisor and PA: Speaking of the roles he played on the production, Hap says script supervising enabled him to call on his solid writer’s intuition and the insights he’s gained while training with screenwriting mentor Philip Halprin (Snow Dogs, The In Crowd). “Being the author of six books and also a Film Connection student, I was able to see where there was some disconnect between what the writer thought he was communicating and what would actually make an impact or make sense to the audience because ultimately they’re the ones judging the movie as a whole. You yourself can like the project but will the audience like it and understand it as well? [When working with a writer] you have to go at it in a very subtle and kind way while still communicating that you get their vision…while proposing various solutions or calling their attention to certain things. 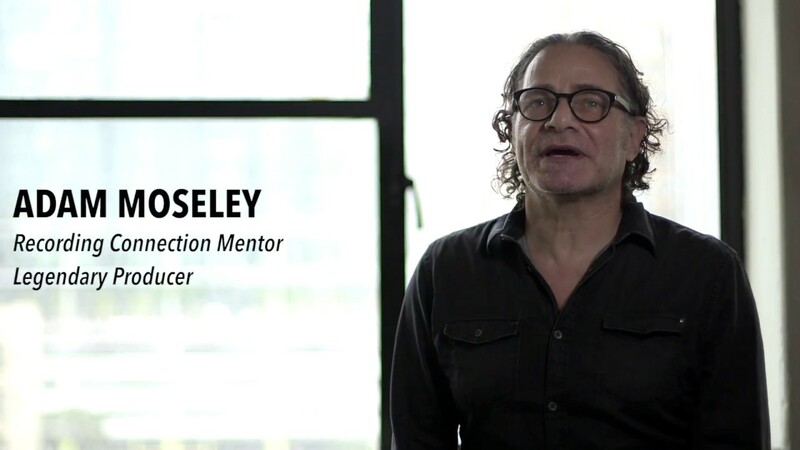 Ultimately the choice is up to them, but there’s definitely value in doing the work.” Learn more about training in film with Film Connection.